“Push Page” is an easy way to redirect the visitor to a specific page on your website. “Push pages” can be useful when you want the visitor to open a page in his web browser and want to minimize dependancies such as typing errors, clicks and other distractions. Moreover, it removes the uncertainty from customer’s mind of whether to open a particular page or not because the live chat agent does it on behalf of the customer. 3. 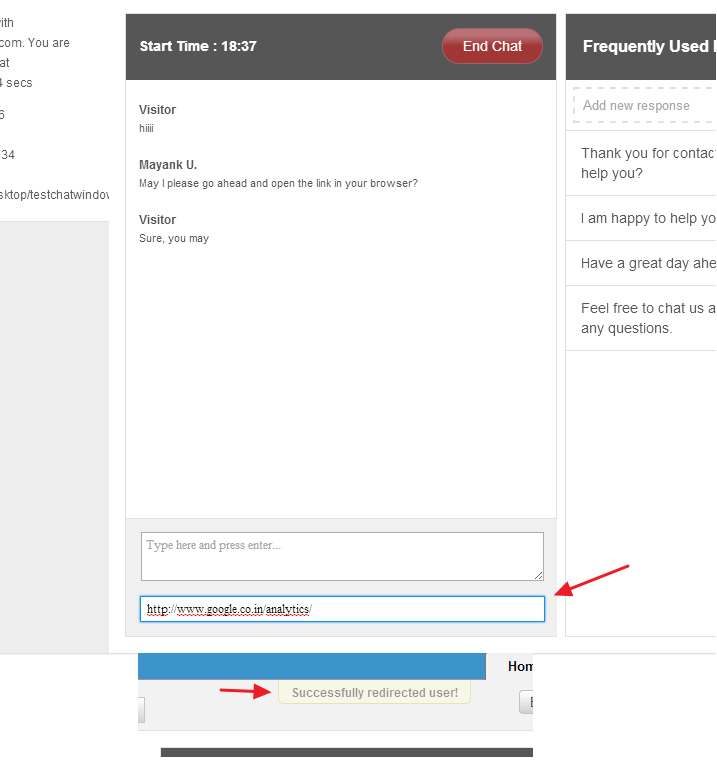 Live chat agent will need to copy and paste the website url in the “Push Page” box and press “Enter”. As soon as the agent enters the link, the browser of the customer’s computer will redirect to the new page. 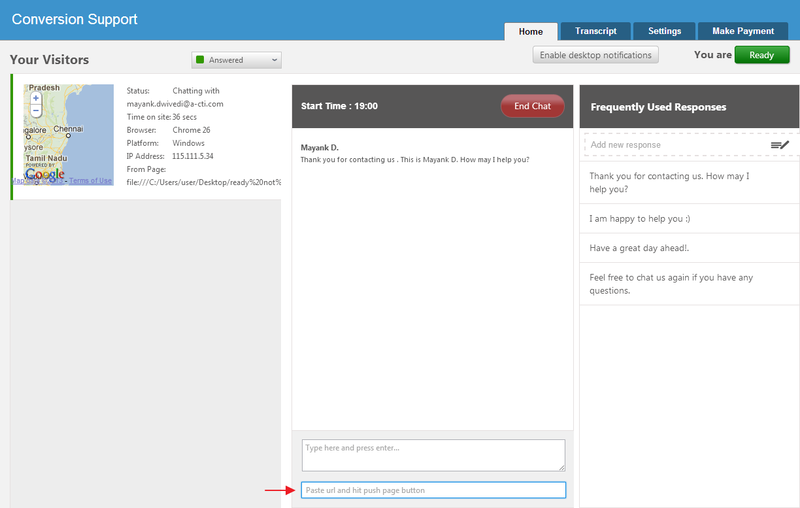 Note: Please note that as soon as your live chat agent pushes the page, the customer will be disconnected from the current chat session. Customers will be redirected to the required webpage on their computers. “Push Page” should be used only when it’s really necessary.